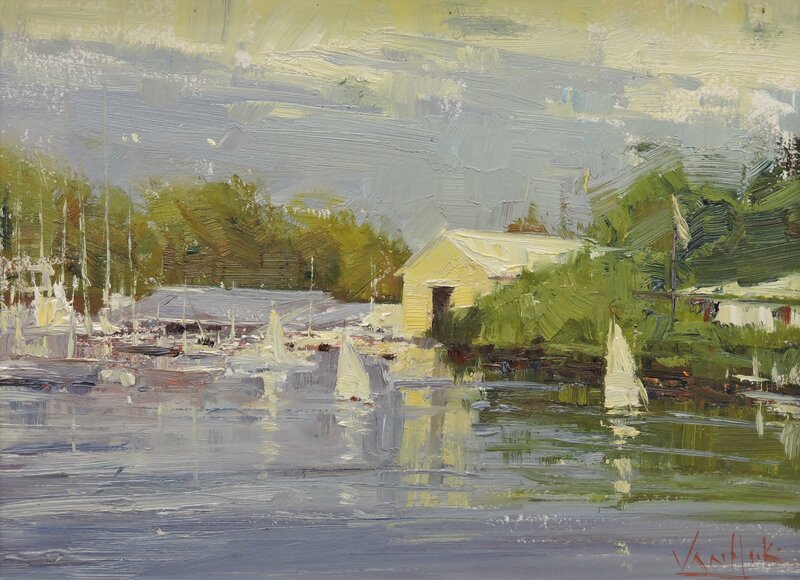 George Van Hook (American, b.1954) is a painter known for his impressionistic, en plein air works. 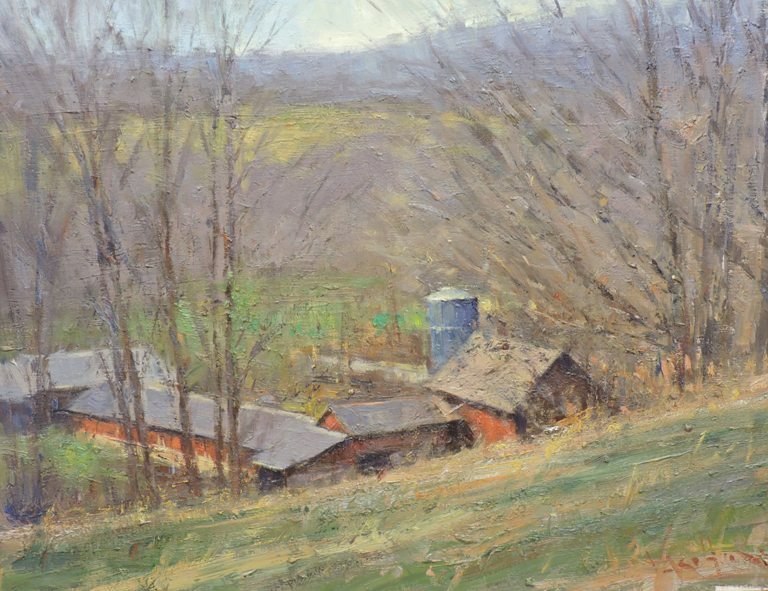 Born in Abington, PA, Van Hook grew up in the Philadelphia area where he spent much of his time studying the masters at the Philadelphia Museum of Art, and immersing himself in the Bucks County Impressionist and Brandywine art traditions from the early 20th century. 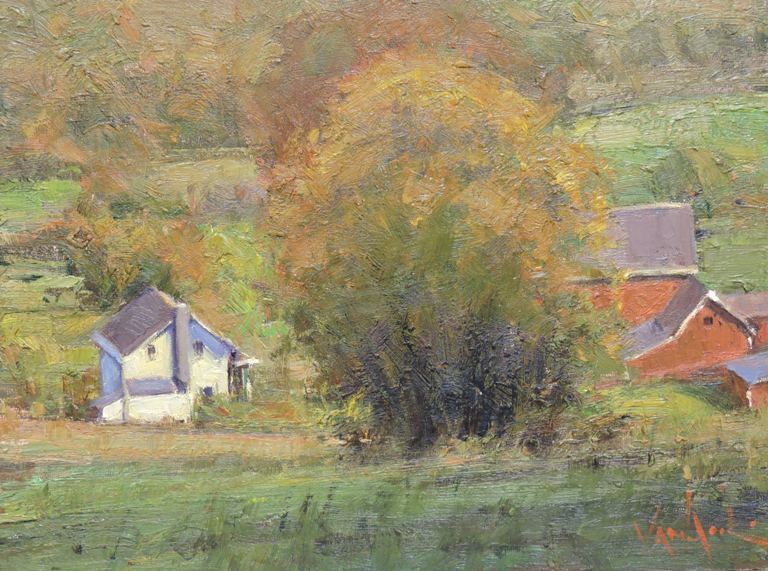 Van Hook studied at Oberlin College in Ohio, and later received his BA from Humboldt State University in Arcata, CA, in 1977. 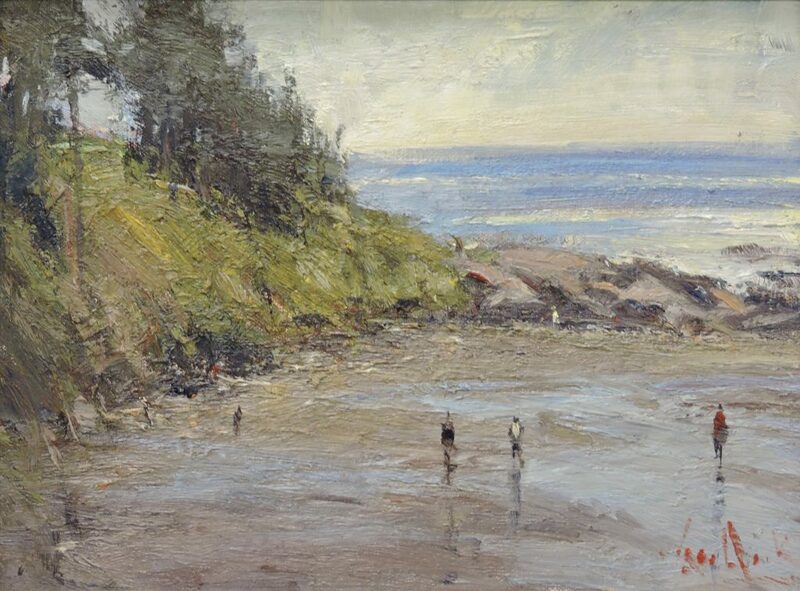 While in California, Van Hook was drawn to the works of the late 19th- and early 20th-century California Impressionists, and won over a dozen awards and prizes. 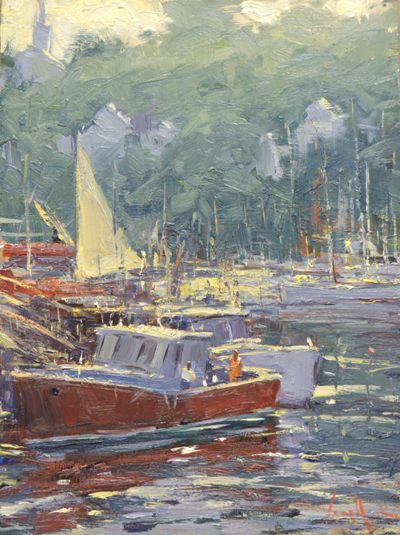 This interest naturally led him to Europe where he studied painting in Italy and France, absorbing the works of the old masters from his daily visits to the Louvre. 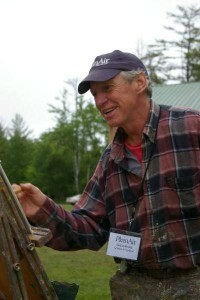 Upon returning to the United States, Van Hook quickly established his reputation as an award-winning artist, garnering Outstanding Young Man of America Award in 1983, and becoming a Finalist in Portraiture for The Artist’s Magazine Annual Art Competition in 1999. 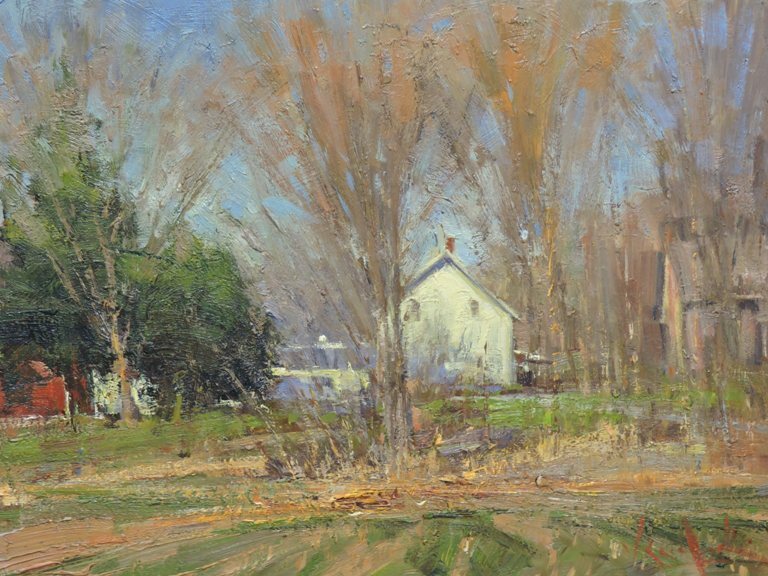 In 2000, he was awarded the Grand Award at the Grand Exhibition in Akron, OH. 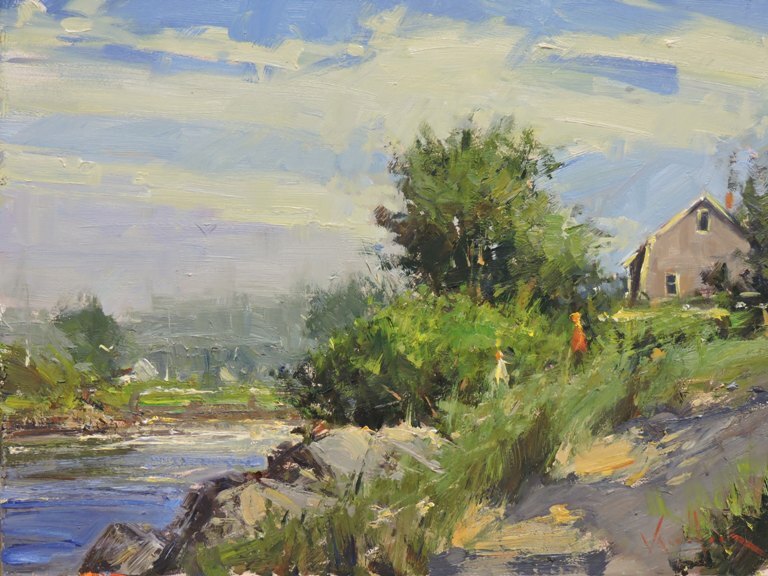 A noted figurative artist, George’s paintings draw inspiration from the works of William Merritt Chase, and were the subject of the article “Painting Figures in Interiors and Landscapes” in American Artist Magazine, written by M. Stephen Doherty in December, 2001. 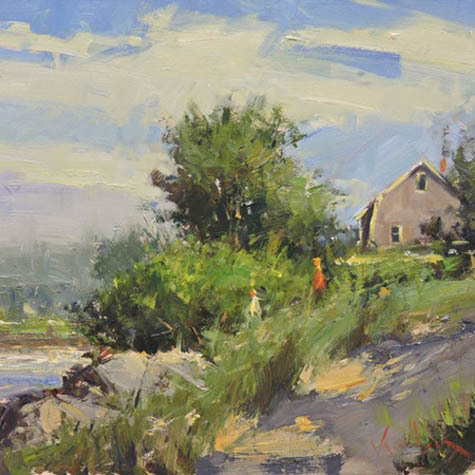 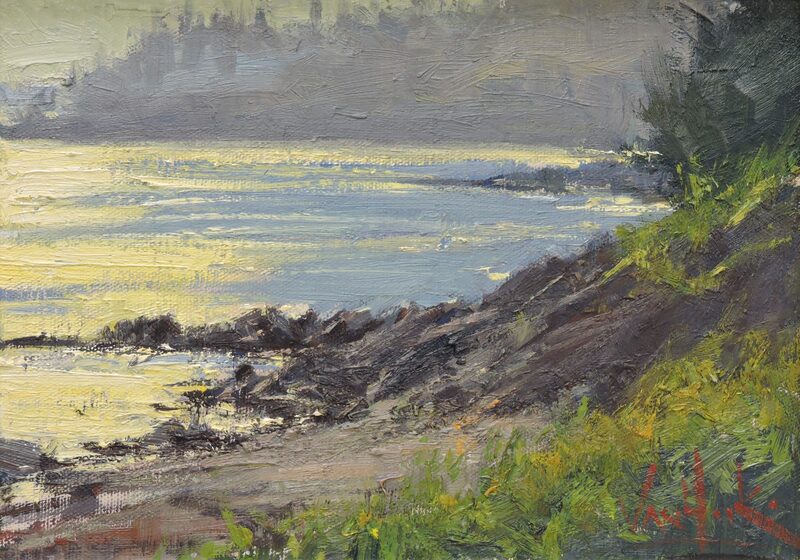 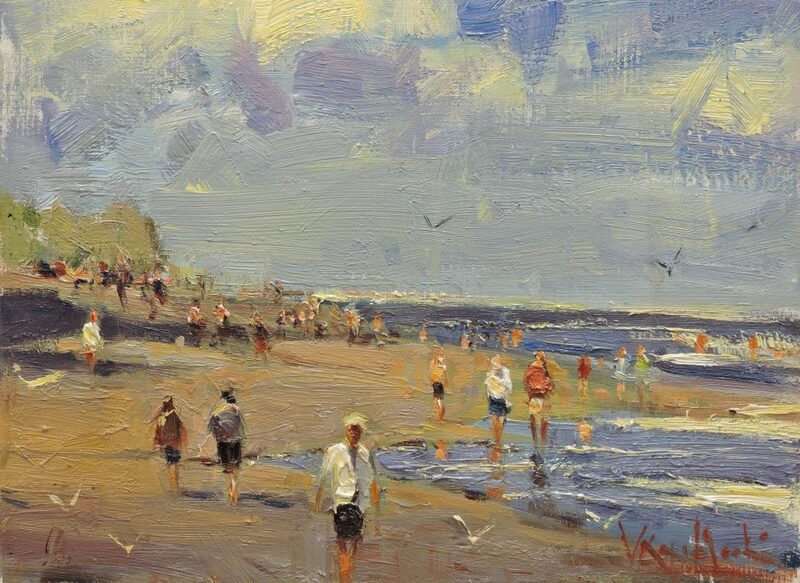 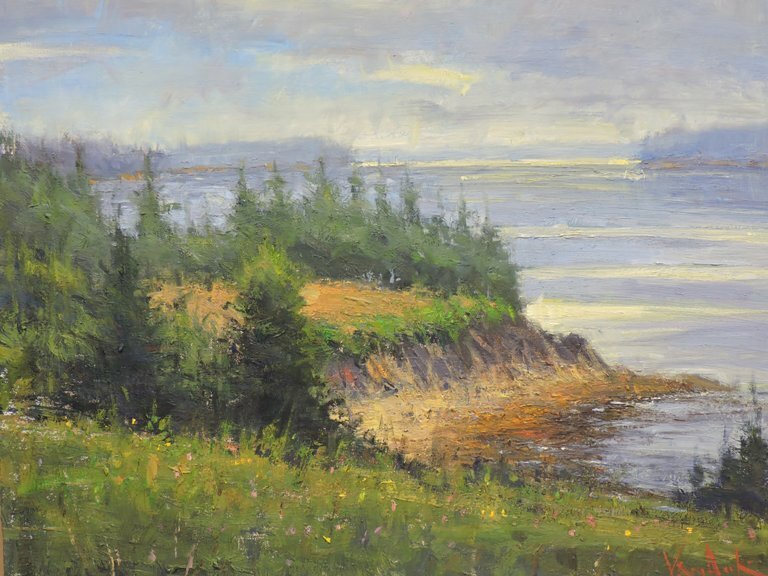 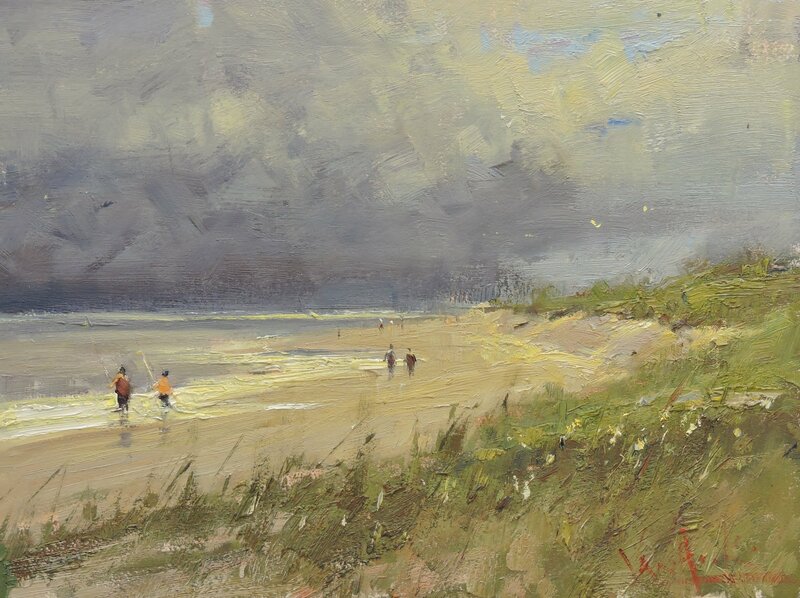 Like Chase, Van Hook paints people engaged in an outdoor activities or posed in a sunlit interiors, as well as coastal and rural landscapes. 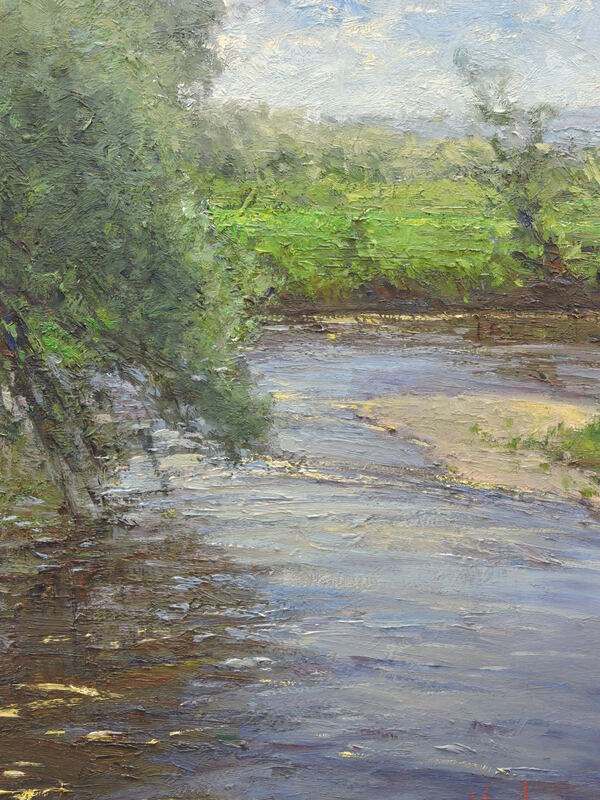 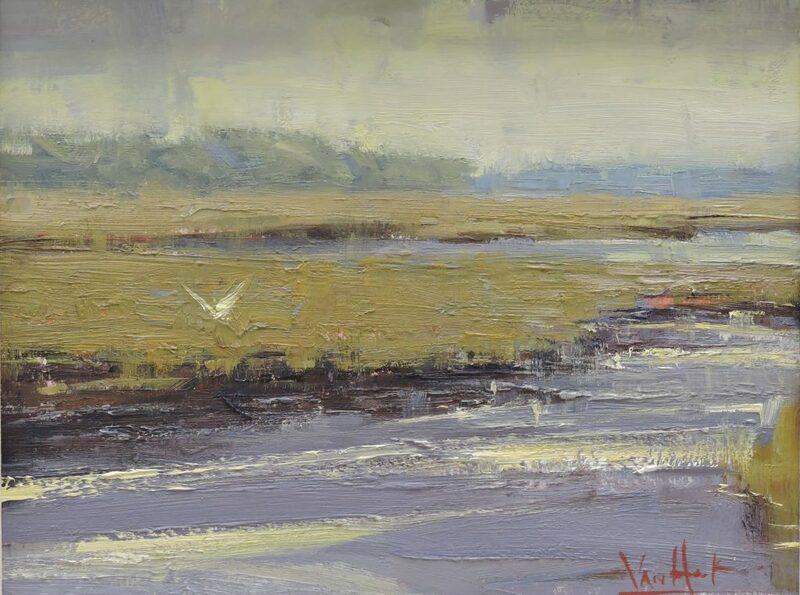 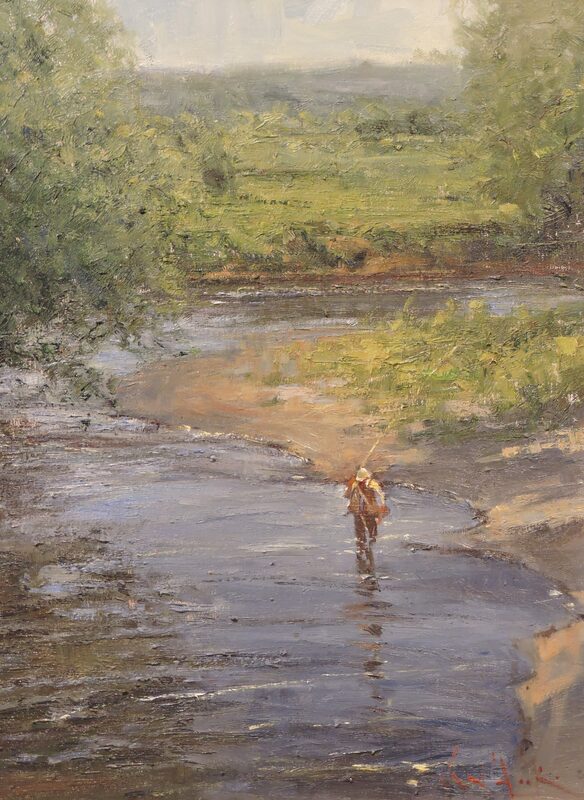 Van Hook’s paintings have been exhibited in galleries and museums throughout the United States, including at the Grants Pass Museum of Art in Oregon and The American Museum of Fly Fishing in Vermont. 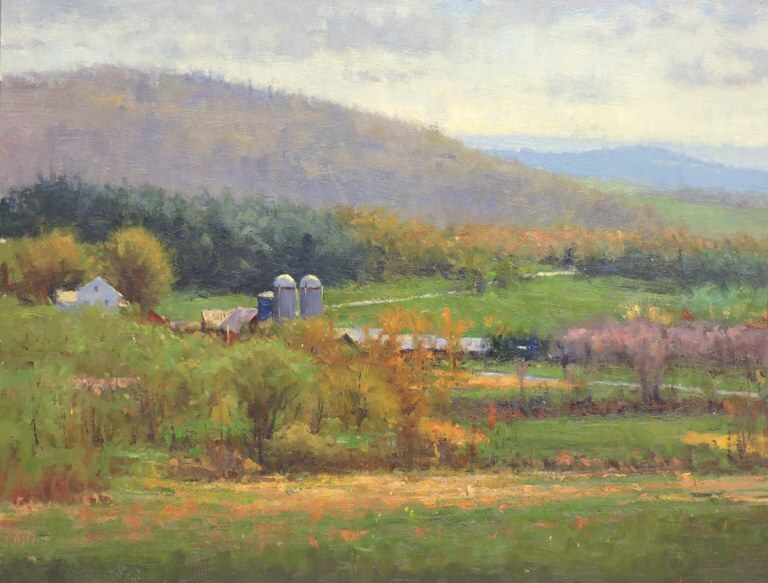 George also frequently exhibits his work at the Southern Vermont Arts Center in Manchester, VT. 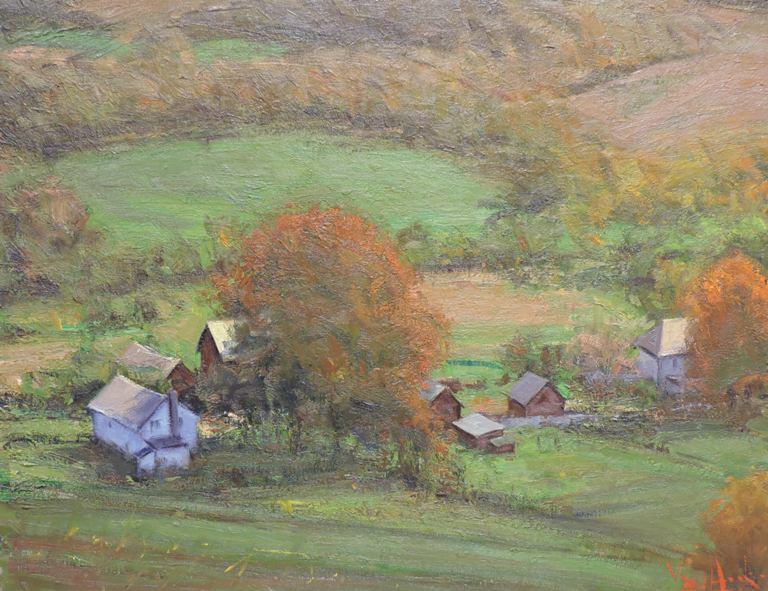 In France, his work has been shown at Atelier des peintures de l’abbaye and Le Mairie. 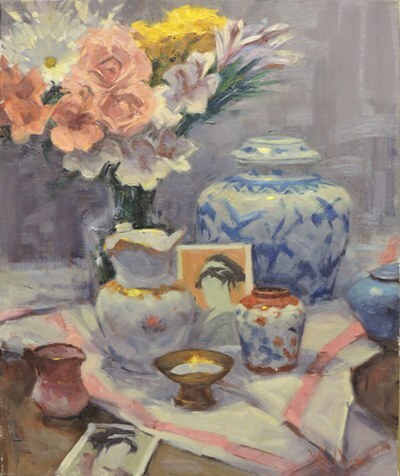 In Japan, Van Hook had a solo exhibition of over 70 paintings at Gallery Enatsu in Hiroshima. In 2004 and 2006, Van Hook was invited by the Italian Museum of Fly Fishing and the Archives of Rome to an inclusive three-week stay on their behalf to paint the Italian countryside.